I love sushi, I could eat it for breakfast, lunch and dinner every day and not get sick of it (I think). It’s my go-to hangover food, which a lot of people find odd, but the freshness of the fish, the stodgy rice and the salty soy sauce offer the perfect combination for recovering from one too many. 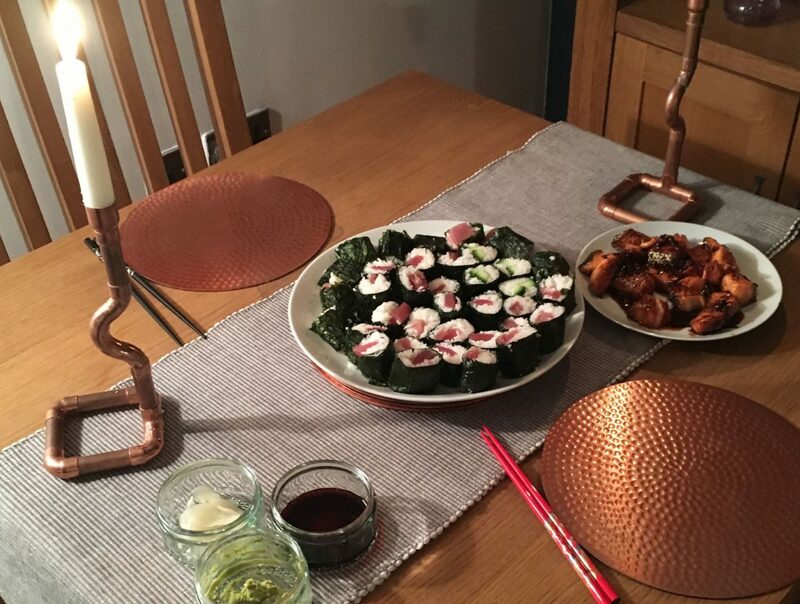 Anyone who knows me will know how devastated I was when Candle Bar stopped serving sushi a couple of months ago – I spent days mourning, which my work colleagues regularly like to remind me about. I remember the day I found out that Candle Bar would be partnering with Edo Sushi and I would be living above a sushi restaurant… dream come true! 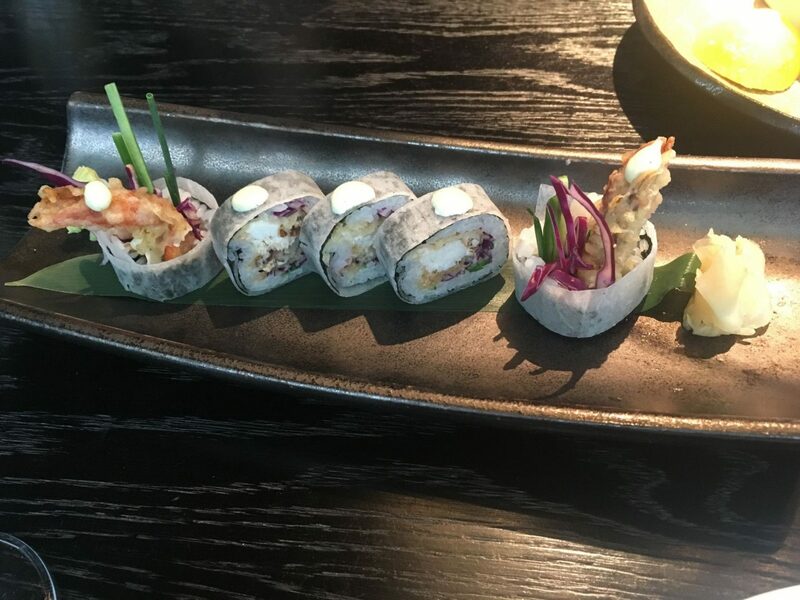 It wasn’t long until I had my order down to a tee, always consisting of the Salmon Selection (the most incredible sashimi I’ve ever tasted, it literally melted on your tongue), Godzilla rolls (tempura prawn rolls topped with grilled eel and flying fish caviar) and Teriyaki Beef. Not only was the sushi UNREAL, Candle Bar also offered excellent value for money, overlooked the canal (great for sitting outside in the sunshine with a cold glass of wine) and served a fantastic Espresso Martini. So since the closure I’ve been trying to find a replacement go-to sushi restaurant, suitable for those hangover days when I just need to eat all the fish and all the soy sauce. 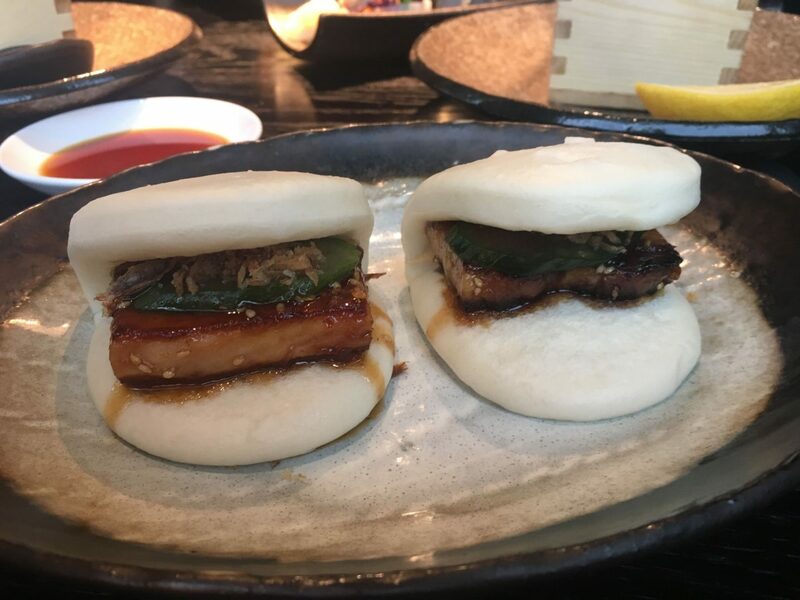 The obvious choice for many is Issho, which does indeed serve delicious Japanese food – the Spider Rolls are excellent and the bao buns are little fluffy clouds of love. My only issue with Issho is that it’s a little more expensive and feels like more of a special occasion place than a hangover destination. 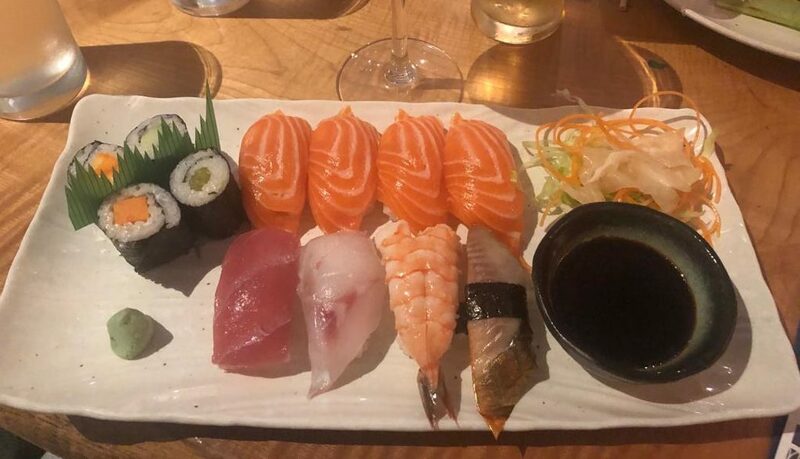 This was until I found out that on a Sunday you could eat as much sushi as you want for just £35! 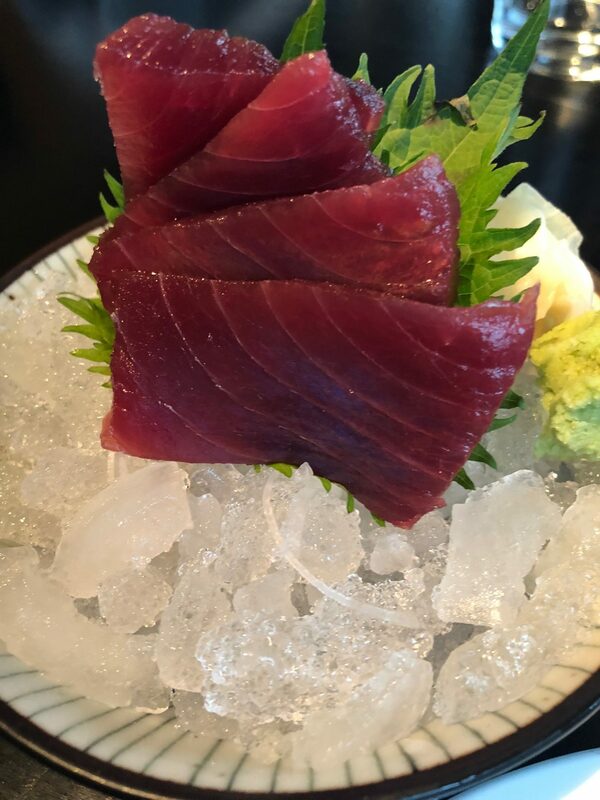 Super fresh sashimi and nigiri is served buffet style on ice, and hot food such as gyozas and bao buns are brought to your table. I booked a table immediately, and Issho took on the title of Nell’s favourite sushi restaurant. But then weekend before last I headed into Issho for bottomless sushi to fuel an afternoon of Christmas tree decorating to find that it had been replaced by a Sunday Bento Box deal. 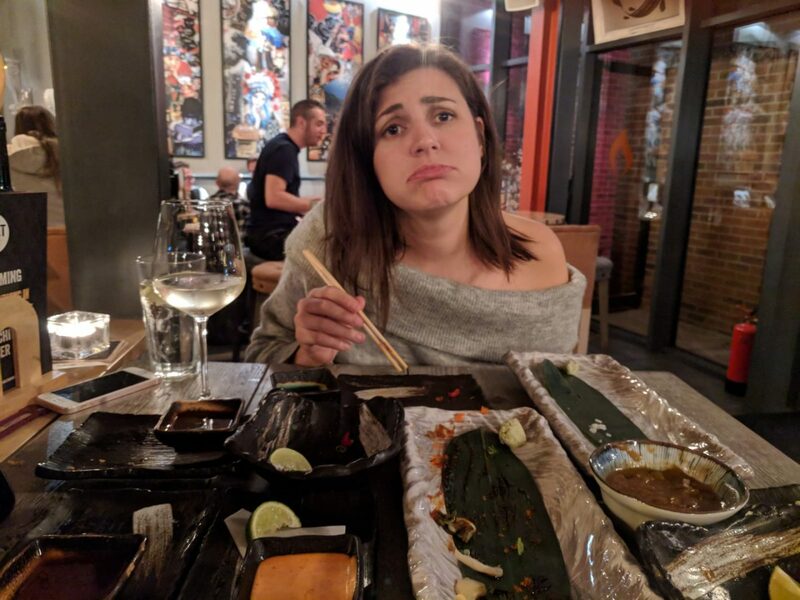 To be fair it was really tasty, filling and good value for money (£20 including a glass of wine or prosecco), but my devastation was close to how I felt when Candle Bar closed and my bitterness knocked it from top of the sushi favourite list. 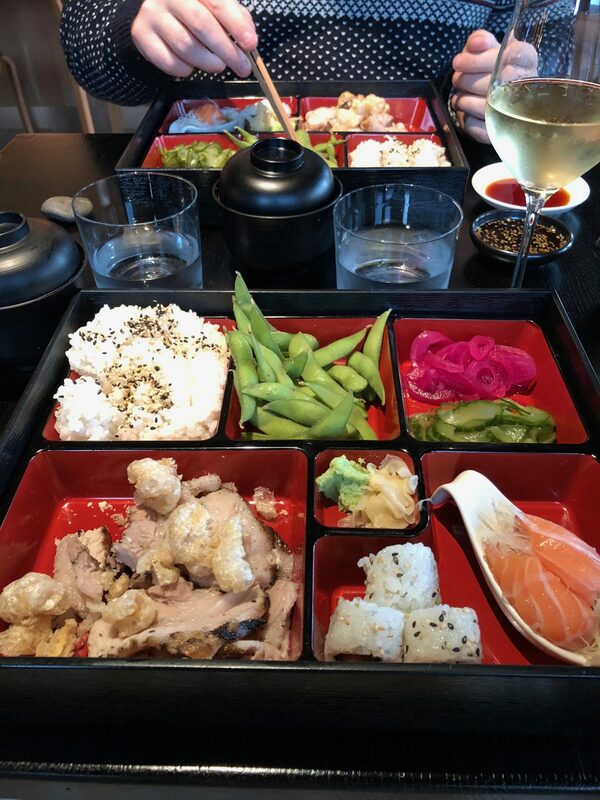 Determined to continue my hunt for the best sushi in Leeds, last week I headed to Koibito. This cute little place serves amazing English breakfast (see my post on Where to Eat in Leeds for more on this) in the morning and sushi from lunchtime onwards. I’d been meaning to try the sushi here for a while and had heard great things, but upon arrival found that the sushi menu had been replaced with a Thai menu! Understandable as they are owned by My Thai, but not good for Nell finding her new favourite sushi restaurant. Luckily, there are still two solid contenders. Little Tokyo does some great Japanese food (their Katsu curry is definitely up there with the best) and fresh sushi at a great price, including nigiri sets where you can try a variety of different fish. The interior is also really cool, with sunken seating and a fish pond with a bridge!! The one thing that stops this being my perfect sushi restaurant is that I could easily get bored as they just have the classics rather anything unique (like those Candle Bar Godzilla Rolls!). Just not as inspirational as my beloved Candle Bar. Finally, Sushi Waka. The fish isn’t quite as melt-in-the-mouth as the others above, but it’s still beautifully fresh and there is so much to choose from! You can order a platter if you want to try a few different types of fish, or order individual dishes. There is also an endless selection of bento boxes and hot dishes. Plus, there is a karaoke bar upstairs, what more could you need? But still, there is something missing that doesn’t quite fill that Godzilla Roll shaped hole in my heart. 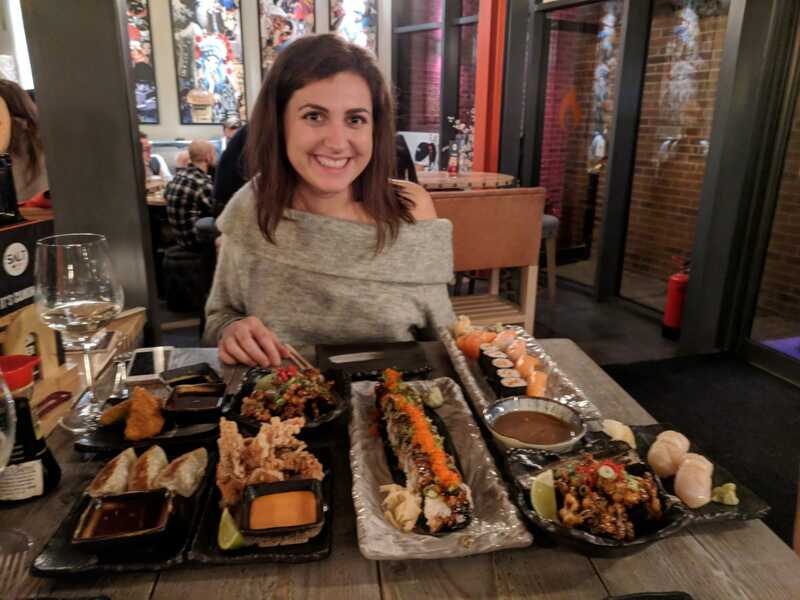 So now down to you, please hit me with your recommendations and help me find the best sushi in Leeds… my days of mourning for Candle Bar need to come to an end! In the mean time, I’ll be eating my sorrows with some homemade sushi, fish courtesy of Kirkgate market as always.